Entrepreneurial soul? Want to start your own business but don’t know where to begin? 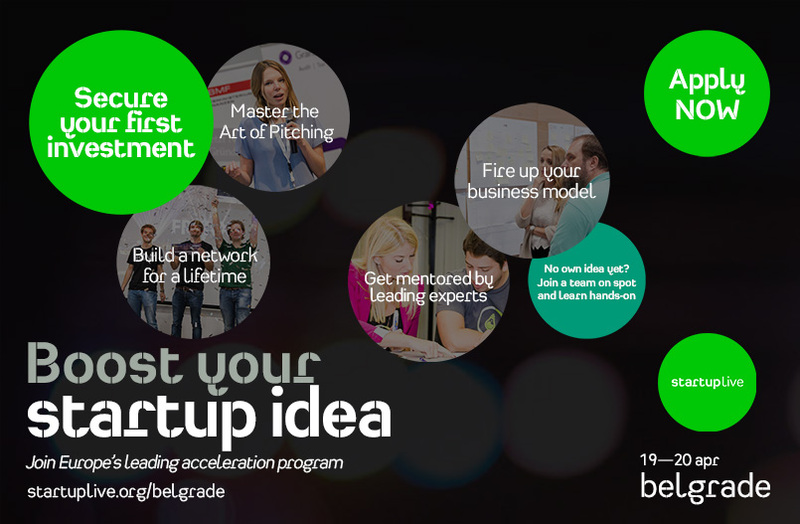 That’s why you shouldn’t miss the next Startup Live event this April in Belgrade. but it because it gives you the chance to meet new and exciting people and broaden up your horizons. Startup Live is for everyone who wants to make an impact with its idea. So, no matter if you are a STUDENT who already has some bigger plans for tomorrow, you should come to learn how to solve real problems and build a startup from scratch. Also, you’ll be able to meet amazing mentors and likeminded people who will stay in your network for a lifetime! Or if you’re UNSURE IN YOUR BUSINESS, Startup Live is here to boost your spirits up! Learn all the know-how on how others did it and be guided to the startup process. Apply with your startup and build your network as of now! If you’re book smart than welcome abroad. RESEARCHERS who think their idea was that something that can make the world spin around is more than welcomed to start their crazy journey at Startup Love. Bring your idea, and you will get the insights on how to turn it into a commercialised product or a service. If you’re a DEVELOPER who’s working on a pioneering technology but lacking the resources or knowledge to turn it into a real business, you’re welcome abroad. Meet the people who will offer you all you need to launch yourself where the right things happen at the next Startup Live event. Don’t be shy and visit our Facebook event or our website for more information.